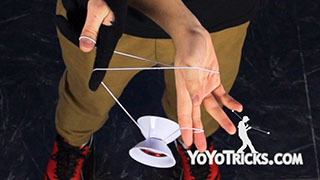 Learn how to do the Zap Cannon Offstring Trick from US National Champion Zac Rubino. 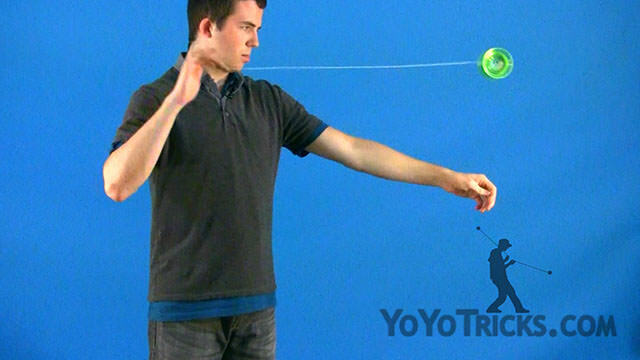 For this trick you are going to want to throw the yoyo and you are going to want to have your hands close together when you catch the yoyo on the string. Then you are going to wrap the string around your first finger on your throwhand. Do a recapture on the outside of your throwhand. Land it on the outside of your arm. Bring it in front of you. To help you with the recapture, you are going to want to have a little slack in the string. 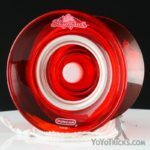 So for this next part you are going to want to roll the yoyo between your hands and bring it over your throwhand shoulder. Once it passes over your arm, you are going to tuck your elbow into your chest. Bring your non throwhand forward and put your arm into the string. This will put you into a basic arm orbit mount. For the next part of the trick, you are going to perform a bind. To do this you want to make sure there is no slack in your string. 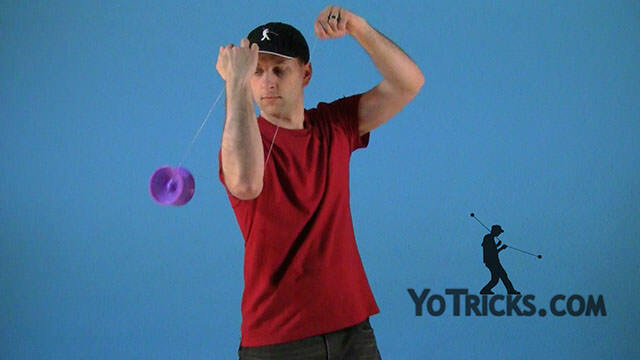 To make sure there is no slack in your string, you are going to want to use the momentum of the yoyo shooting the yoyo out and up to perform the bind. 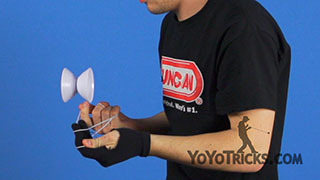 As soon as the yoyo binds, you are going to tuck your elbow in allowing the yoyo to swing on the outside of your wrist. You are going to intercept the string with your non throwhand. 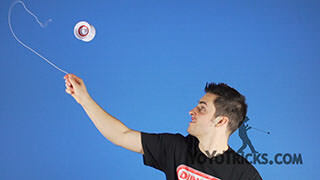 Raise it up as you take your throwhand scooping it under the yoyo and landing it on the outside of your wrist on the string. Next you are going to do a bind into a regeneration, and land it on top of the string. If you are having trouble with the regeneration, check out YoTricks’ video on offstring regenerations. 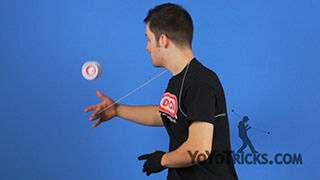 After that you are going to do a downward open string bind, swinging the yoyo across your body into a bridge bind to complete the trick. I know this trick is difficult so here are some tips. 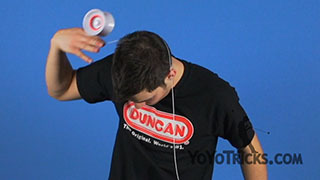 First you are going to pop the yoyo up to shoulder height. 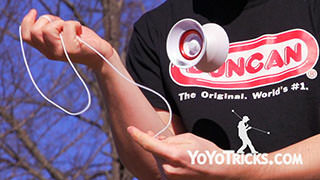 Then you are going to whip the yoyo in the middle of the string with a downward motion. 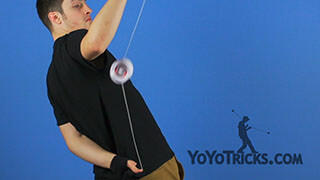 When the yoyo is about to come off the string, you are going to slightly pull to set yourself up for the bridge bind. Make sure you do not pull too hard or else you might hit yourself. 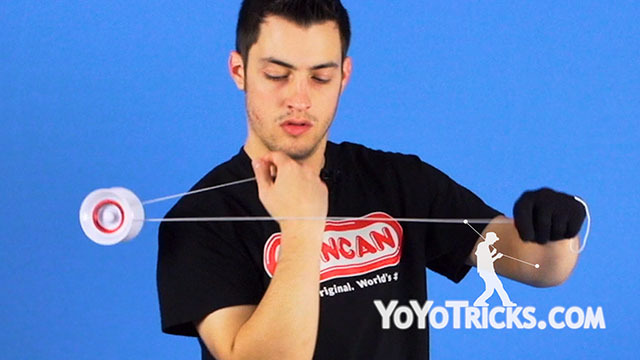 For the bridge bind, you are going to want to move your throwhand above your head and scoop the string up with your non throwhand allowing the yoyo to land in between your hands. Then you are going to want to move your non throwhand forward as you move your throwhand up. 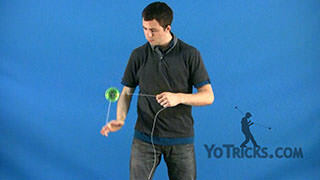 As the yoyo binds, you are going to move your throwhand down to catch the yoyo. And that is the Zap Cannon.